Today with the advancement of the modern era and the expansion of Internet, the world wide web affects almost every routine activity of an individual. Right from shopping to studying we find the influence of Internet everywhere. As, e-commerce and trade are taking giant leaps while online content marketing and social media witness gigantic transformations. We notice that videos have become an inevitable part of communication. Also, one will not contradict to the fact that these motion pictures are a better form of message transmission as compared to mere texts or images or audios. There is no denial to the gospel that online video market is growing massively, consistently, and continuously. Many popular websites like Netflix, iTunes, Spotify, Lynda.com are purely based on video transmission and display. These websites provide paid subscription for the access to their content. There are other educational websites that provide tutorial video lectures for a better understanding of the subject. Many, individuals who have revolutionary ideas and business models regarding the new inflating video market, often fail to find a platform that can aid them for their video subscription business. So, here is a website name Uscreen that provides you just what you require. The website is a child branch of WebNet hosting and has been providing its service since 2013, and helps you to build a platform that is more than just a video hosting platform. 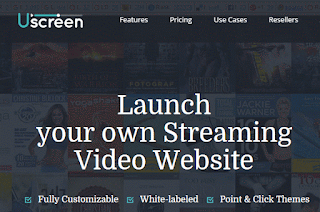 Uscreen enables content creators of all kinds to take complete advantage of their white label platform. It has assisted many employee training, e-learning, video hosting and many other riveting video based sites. Going by the facts and figures the organization has uploaded more than 12,000 programs, has more than 600,000 monthly users and comprises of 42,000+ lines of code. This feature allows the user to upload any content including – video, audio, pod casts, PDFs, excel sheets, documents and other types of content. 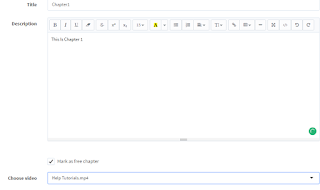 You can design these in the form of chapters and can even organize them into episodes, series or chapter lists. The site enables bulk loading and navigation through the content. Content can be scheduled or timed in the user's library and can even be removed as per time. Pre-roll and post-roll ads can be easily set-up and subtitle support can be provided by uploading VTT files to the uscreen platform. Every single and minute aspect of the website can be customized ranging from players, chapters to looks and feels. A fully authenticated and a complete White Label website can be built with your own domain. Interesting pre-designed templates and click-on themes are supplied to choose from, that are created by world class designers and have been optimized for various purposes. All of the HTML and CSS codes are accessible and editable. You can also create a website that gives NetFlix feel. Create a website that allows multiple subscription accounts per store. 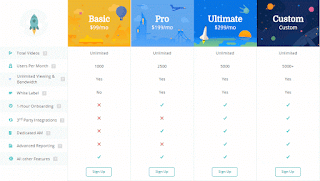 A subscription can afford up to 10 programs while others can up to 100, and enjoy the control over everything. The end-users can manage their subscriptions on their own, and can also log into the website. The billing updates will be shared directly with the end-users and the website owners. The terms can be customized easily and subscriber reports can be easily generated and indicated all the key performance indicators will be made available on the dashboard and calendar re-billing schedule is also available. Easily upload videos, audio, podcasts, PDFs, Excel sheets, documents and any other type of content, and securely deliver them to your end users. Add multiple choice question-based tests and quizzes also, provide assessments to the courses. Set-up and track the course journey of an individual candidate. Schedule the content accordingly and add certification based on different criteria. Make online discussion forums and allow users to add comments on the various programs, videos etc. that you have supplied. The users can set up their affiliate programs to check confirmation pages, add discount codes and coupons for all the redemptions you wish to provide. Integrate your store easily with social media platforms like Facebook, Twitter, Pinterest, Instagram etc. Set SEO titles, meta description sections on all your programs and pages for SEO optimization. Do promotions via emails and communicate your latest deals to the customer via MailChimp & Constant Contact. Enable discussions with the end-users regarding the programs and content. For this you will need to sign up for an account on their official website. You can sign up for a 14-day free trial if you're not willing to pay at first. Just fill the form and that's it, don't need to provide your credit card details and that's a plus point. The very first thing you'll see after logging into the account is the dashboard. It contains some basic information regarding your projects such as revenue, registrations, orders, and subscribers. Here you can create a different type of categories for your project. Some course might be related to math while some science. So you can separate them according to their field. We've named our category as "SEO". To distribute any type of file such as video, audio or even pdf documents, e-books, you first need to create a program. Simply click on Program Management from the right sidebar. Now hit the Add New Program button from the top right corner. On the next page there are three tabs (Details, Upload Content. Menu Builder). The very first tab is the main thing of concern for us. 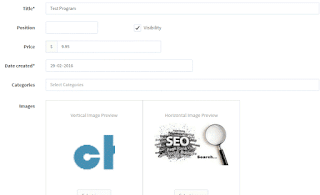 There you can put your program title, position, price in dollars, date on which it was created, categories, image for thumbnails, description, and SEO settings. Fill all the required details. You can change the position of your program. Say if you've created 10 programs then this option will allow you to decide which one should remain at the first position. For now put '1' in the text files just next to position. Choose the category SEO, created previously. Once all done, simply click on Save & Next button. The second tab is for uploading video(MOV, MPG, AVI, FLV, F4V, MP4, M4V, ASF, WMV, VOB, MOD, 3GP, MKV, DIVX, XVID) or document files. Maximum uploading size for documents is 25 MB. Here we're uploading a new video. You can see in the screenshot below. It would take some time in uploading to make it compatible with all type of devices. Once the uploading has finished, you can see video thumbnail. Similarly, you can upload any doc, pdf or stylesheet too. The click on Next step. This will open the third and last tab that is menu builder. 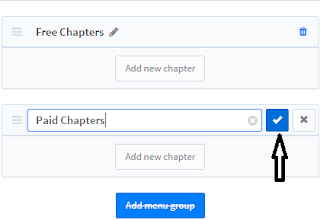 In this section, you can build a list of chapters. Say you're having total 25 videos in your course. Then just create 25 chapters each comprising a single video. Click on Add menu group and give this menu any name of your choice. 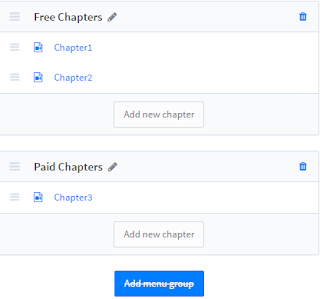 Here we've created two groups (Free Chapters, Paid Chapters). Further, you can create chapters for the content you're going to provide the user. Just press Add new chapter and choose the type (Video chapter, document chapter, text chapter). Fill the required details. In the first menu, we're going to add free chapters so simply check the option saying Mark as free chapter and hit Create button. To add paid chapter, simply uncheck the above option. Now you can see all the menu list with their total chapters. Now we're gonna click Finish button. Thus, we've created our first program. To test and preview this program, click on View my store from the left side menu. Apart from the above features, one can create subscriptions, coupons to provide discount offers to the user and affiliate tracking too. 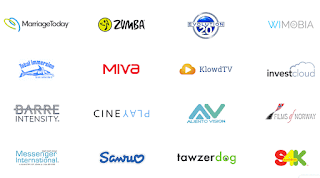 These are some of the very successful customers of Uscreen. This service has helped them to set up their business in a adorable way. Uscreen provides 4 type of plans so that if someone has low budget then also he or she is able to avail benefit of their services. See the image below for more details.